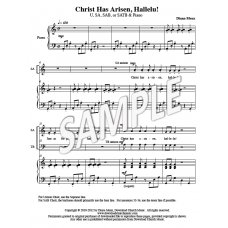 Versatile Easter anthem for either Unison, 2-part, SAB, or SATB choir and piano. Original text, also incorporating John 3:16. 6 pages. 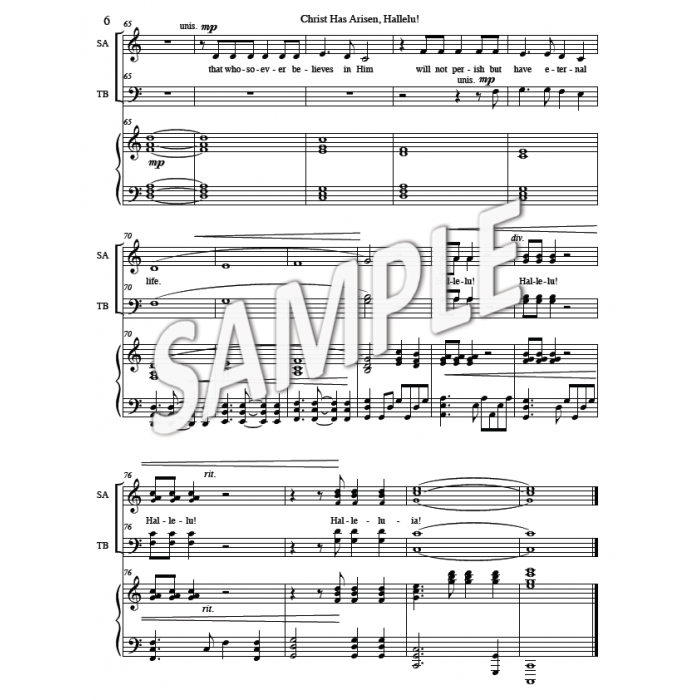 Also includes paper-saver PDF for choir. 2 pages. 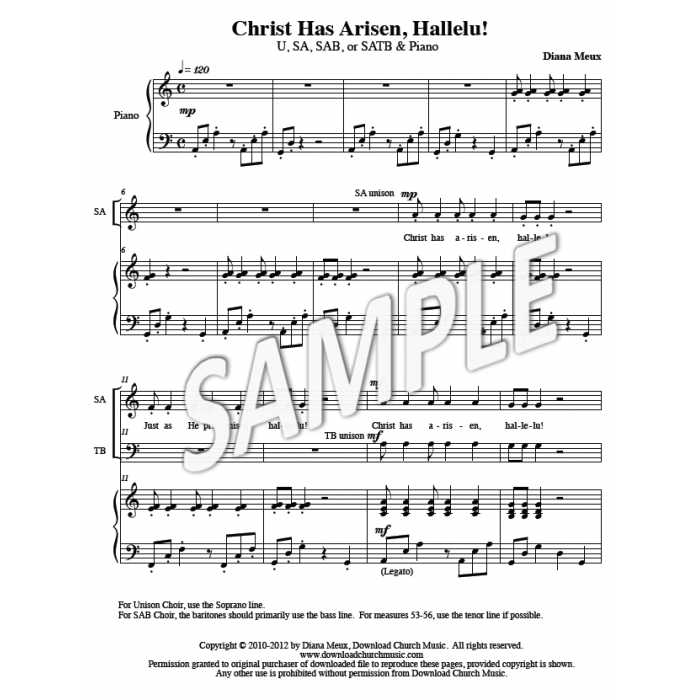 U/2-part Choral Versatile for Unison, 2-part, SAB, or SATB and piano. 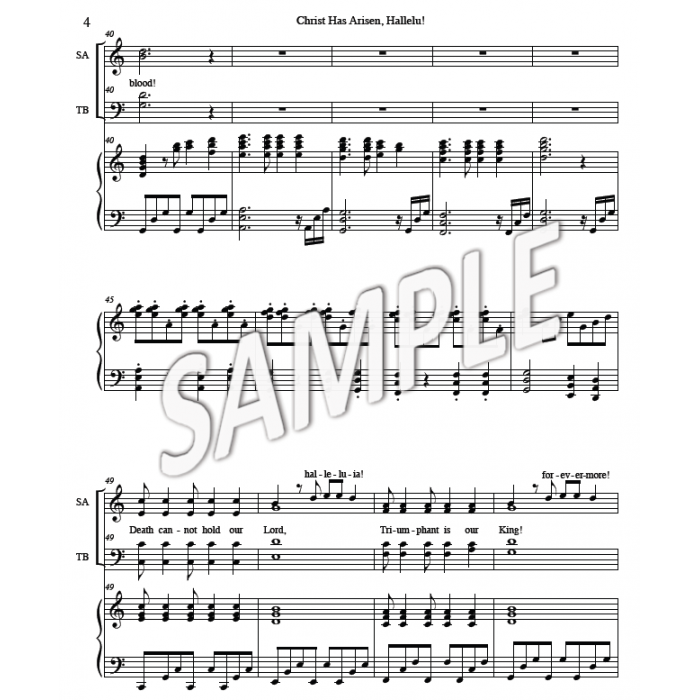 2-part Choral Versatile for Unison, 2-part, SAB, or SATB and piano. 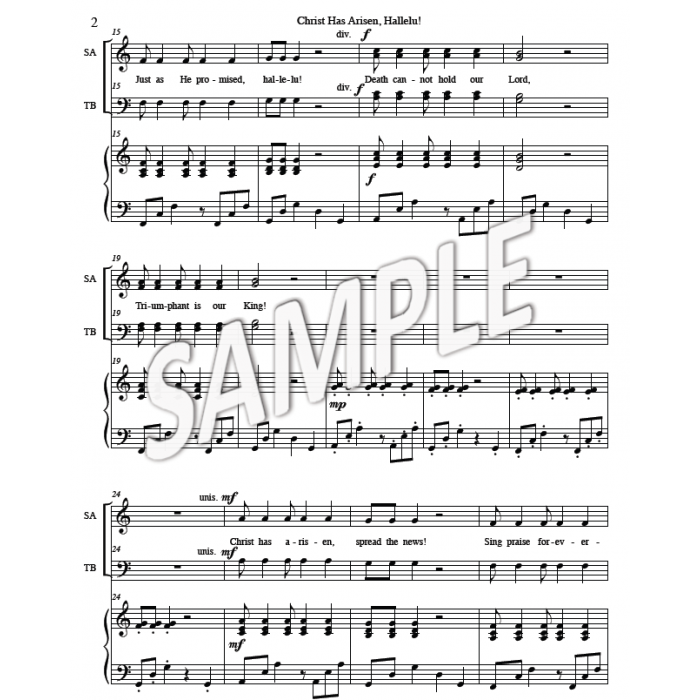 SAB/SATB Versatile for Unison, 2-part, SAB, or SATB and piano. 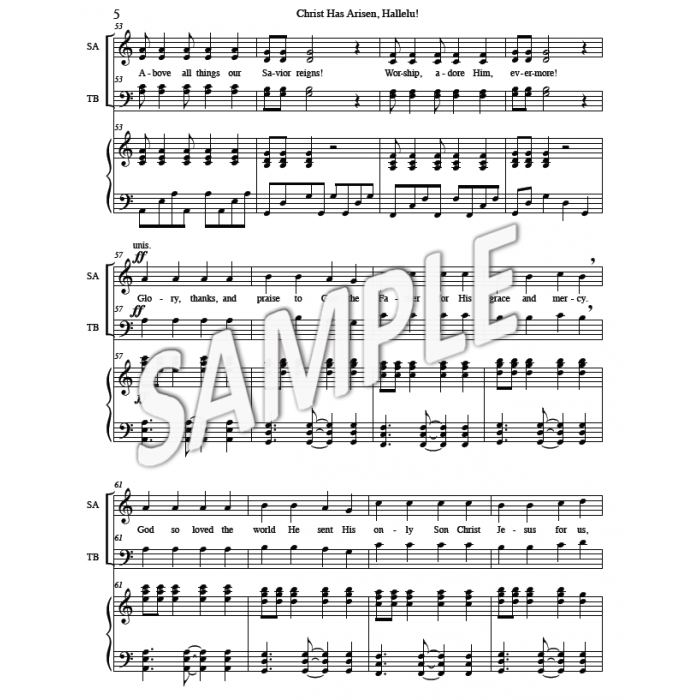 Anthem 6 pages. 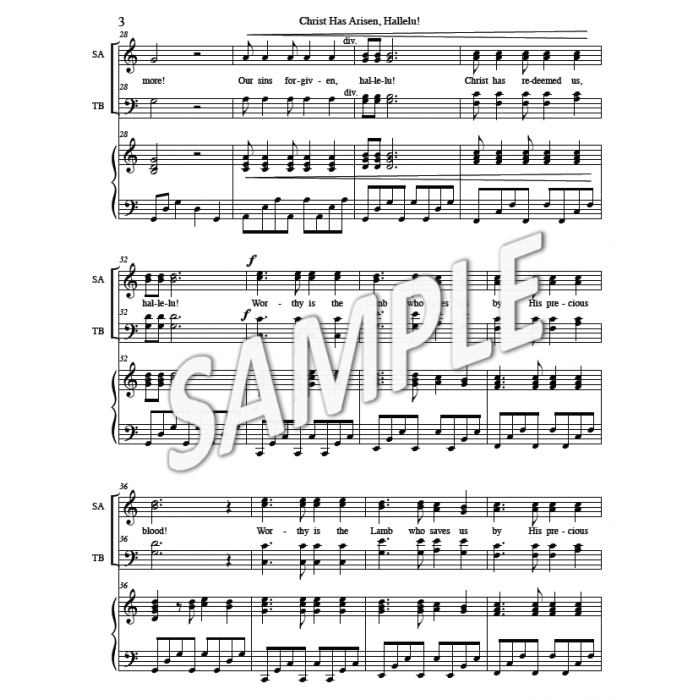 Choir part 2 pages.